Our lives are fluid, constantly changing and going through new experiences. At times, it can be difficult to navigate through these changes and experiences. There are, however, quite a few things which can be done to help us on our journeys. 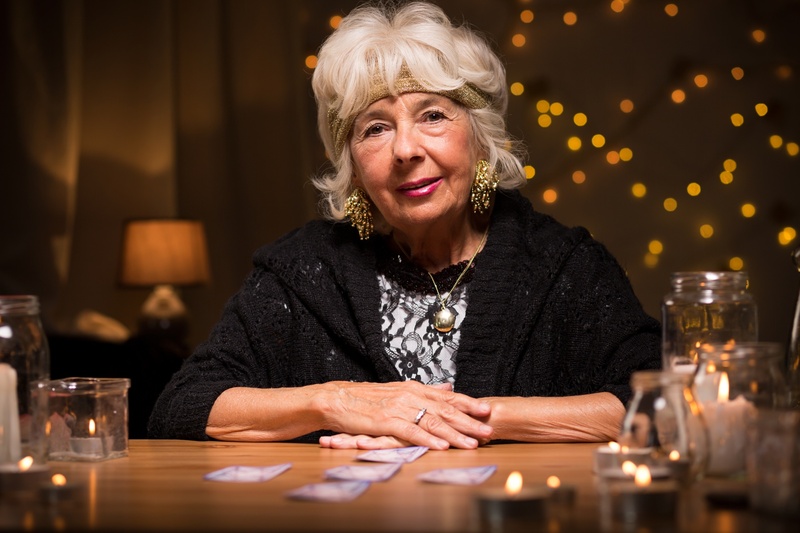 One of the most effective ways of navigating life’s changes and experiences is by taking part in a psychic card reading. There are card readers all over this world, but the easiest way to speak with one of them is by chatting online. Here are 7 benefits of chatting with a card reader online. Psychic readings are vital in identifying spiritual and mental health issues such as depression, anxiety, addiction, paranoia, and others. By identifying these issues and realizing that they exist, you can start to put measures in place to address them. But, not only will you be able to identify existing mental and spiritual health problems, you’ll also be able to identify the root of their existence. Finding out what stress, anxiety, depression, or otherwise is coming from allows you to address that specific issue. Not to mention, the simple idea of just knowing these things can take a world of weight off your shoulders. How wonderful would it be to identify and address spiritual and mental health issues from the comfort of your computer chair? Wouldn’t it be terrific to know what’s going to happen before it happens? Well, with a psychic card reading, this is a possibility. Chatting with a card reader online will give a good idea as to what your future has in store for you. If your future appears positive, you can look forward to the joyful experiences you’re about to have. If your future appears negative, you can brace yourself so that you’re not entirely blindsided. You can also form strategies to take on the problem once it presents itself. In general, chatting with a card reader will provide you with more confidence and self-assuredness. While self-examination can certainly help you to identify problems within yourself, it is not a foolproof method of examination. As human beings, we tend to put blinders on when reviewing our negative and positive aspects. Some consider their negatives to be positives. Others consider their positives to be negatives. And some have a complete inability to examine themselves at all. Chatting with a card reader online will help you to target specific areas of your life which need improvement. After having identified these problems, you will be able to address them to the best of your ability. This will make you a better person, both to yourself and to others. Have a huge and important decision coming up in your life? Trying to choose which school to go to? Maybe you’re thinking about making a move across country? If so, you can be greatly benefited by speaking with a card reader online. A psychic reader can not only tell you how your past decisions have affected you, but how your future decisions will affect you as well. They can determine how you will handle specific situations, enabling you to avoid those situations altogether, or devise a plan that will help you make it through those situations. Big decisions are anxiety-inducing and stressful. Having a firm grasp on exactly what you’re deciding will give you peace of mind. Another benefit of chatting with a card reader online is that it can improve your relationships. Those who are in a romantic relationship can garner important information about their partner from a psychic reading. Those who are single can be given information as to what type of people are wrong for them, and what type of people are right for them. A reading can also give you peace of mind, allowing you to be more friendly and open around those who are close to you. It can also alert you to problems that need to be fixed in your relationships, enabling you to address them and confront them. This will make your relationships with your friends, siblings, parents, and significant other much more fulfilling. Have you ever had a reoccurring dream of which you couldn’t find the meaning to? If so, chatting with a card reader can be greatly beneficial to you. Card readers are able to get down to the root meaning of events that occur within dreams. By doing so, they are able to tell you what exactly is troubling you in your life. Dreams have many meanings, with some of them carrying positive energy, and some of them carrying negative energy. By interpreting these dreams, card readers can dive into your sub-conscience. This allows for a level of self-examination that is almost impossible to equal. Are you dealing with the loss of a loved one? Perhaps you just lost a beloved pet? In either case, chatting with a card reader can be of great benefit to you. Card readers can help you cope with the loss of a loved one by setting your mind at ease and providing you with clarity. Understanding why things happen, and focusing on the positives of situations enables you to see the loss through a brighter lens. You’ll understand that the person or pet that you lost provided a bevy of positive influence throughout his or her life; that he or she touched many people and will continue to touch those people even in death. Coping with loss is not a simple task. But a card reading focused on loss can help you move on and understand. Looking to speak with a card reader online right now? If so, we here at Psychics Directory can help you. Our directory of card readers includes readers from various geographical locations, and with all different skill sets. There is sure to be a card reader online in our listings who you’ll feel comfortable with, and confident in. Check out our listings now!